Synopsis: When Myriam, a mother and brilliant French-Moroccan lawyer, decides to return to work, she and her husband are forced to look for a caretaker for their two young children. They are thrilled to find Louise: the perfect nanny right from the start. Louise sings to the children, cleans the family’s beautiful apartment in Paris’s upscale tenth arrondissement, stays late whenever asked, and hosts enviable kiddie parties. But as the couple and the nanny become more dependent on each other, jealousy, resentment, and frustrations mount, shattering the idyllic tableau. Building tension with every page, The Perfect Nanny is a riveting exploration of power, class, race, domesticity, and motherhood—and the debut in America of an immensely talented writer. Review: The Perfect Nanny is delightfully creepy read you won't want to put down once you start it. Told mostly from the points of view of Myriam and Louise, it's the story of how everything goes right until it goes wrong, except the book starts with exactly what went wrong and when. The rewind effect works here because there's no spoiler waiting for you at the end. You know upfront what you're up against and if you choose to keep reading, that's on you. The author goes into a lot of detail about what Louise looked like, much more so than any other character. We know Myriam is French-Morrocan, but we're never told Paul's race or nationality. But Louise is white, not just white but porcelain white. She's a small dainty woman, fastidious in how she dresses and presents herself. She prepares meals, the children love her, she gives Myriam and Paul their pre-children lives back. She is, as the title says, the perfect nanny. Paul's interactions with Louis are interesting because it seems he sees the cracks in her porcelain facade long before Myriam does, which isn't surprising. While Paul has always had the freedom of escaping the house daily to go work, Myriam has spent the last few years at home with the children. Wouldn't you avoid looking at what was directly in front of you if it meant you could continue to pursue the career you missed so much? Because the reader already knows how the story ends from page one, it's not too shocking when we finally come to the scene of the crime. I appreciate the author taking time to go beyond that scene and telling us what happened next, though I would have liked more follow up on Paul and Myriam. 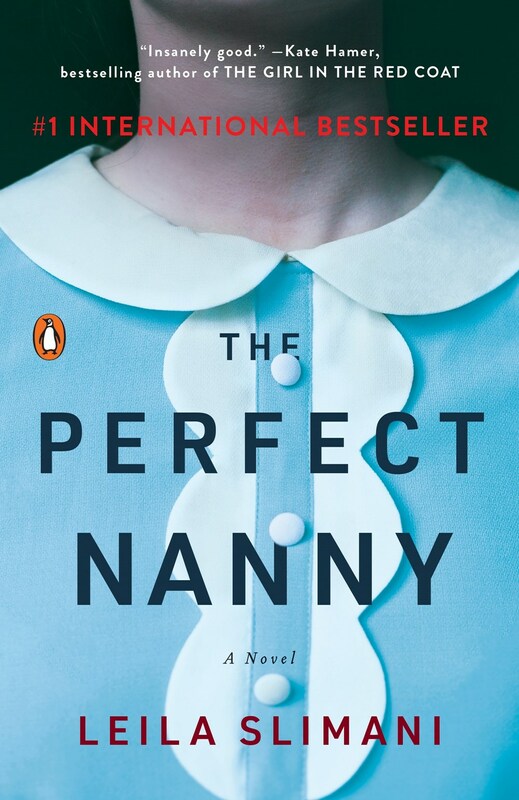 The Perfect Nanny is the perfect read for those who love plot twists and creepy little women.